Is anyone open to starting a book club? Discussion in 'Education, Learning, Books' started by yveskleinsky, Jun 12, 2008. Is there anyone out there who would be interested in participating in a book club? We could get a good list going, (there are already a couple floating around here) decide on 2-3 books, (so we could order them ahead of time) and then discuss them at length. Maybe review 1-2 chapters a week? Anyone up for doing this? Germanpotato, Venturer and Merkin Man like this. I was going to ask if there were some people who wanted to do this with "Your Money or Your Life", as it ties in w/several of the threads we have here. I'm game, but not sure if I'll have the time to do this regularly (tho I would love it). Not sure, but it looks like Legacy Dad's is more like our book reviews section. I think Yves is suggesting several people get the same book and read it at the same time, sharing their thoughts on the forums. Ahhh ... everyone reads the same book at the same time and then discusses... got it! 1. We could eliminate the need for formal meetings, by having pre-planned questions for each chapter posted in advance, and people could post whenever they are able- they would just need to reference the questions. 2. We could meet at the same time and have an open discussion about the assigned chapters. 3. We could meet at the same time and have directed discussion about the assigned chapter. That would be really fun. I'd love to participate and even help in starting it! I would participate! I like all the options that Yves presented. So, what to do next? compile a list of books that are of interest for many? This is what I was thinking. Btw...I'm down for this. edit: Bah, seems you've written another excellent post recently. How about we hammer out the format for a club on this post, and I'll start another post for book recommendations. I would like to get at least 3 books or so in queue, that way we can all order them ahead of time. If we do decide on a more structured format, I would like for us to develop some prepared questions (in addition to open discussion). It would be helpful if someone would volunteer (we could rotate) to be the one who reads ahead and develops the questions for each chapter/book. We can then archive the questions for groups that want to start in the future, and would like a starting point. Just my .02. ...I also vote that we start with Russ' book, as he's mentioned it quite a few times, as has Diane Kennedy. Just FYI, "Your Money or Your Life" (YMOYL) has a simple graph in it that changed my life. Seriously. I had never been able to chart a course for financial independence until I saw that graph. After that, everything was easy (since all I had to do was research, learn, and execute). Oh, and Sonya, it's been my pet book for 15 years. 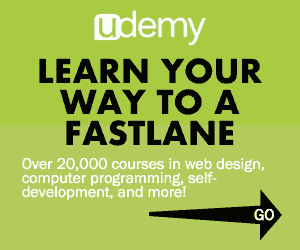 Not because it's fastlane (it's not. WAAAY not). But because it taught me to look at money in a very, very different way. In fact, of any of the fastlaners here, Sonya, Doug, and their family are living the life discussed in YMOYL more than any of us, save for Biophase. Just a warning: That life changing graph won't be so life changing for most of you. Keep in mind this was in 1993, before Rich Dad, before Suze Orman, before Dave Ramsey's rise to prominence. But I still think it's a great read, and in fact, I just started reading it again. I suggest for the first book, we stick with non-industry related. If that isn't enough for folks, we can break down into the social groups MJ has setup and really get reading. Here's my suggestion for reading break down. -Last week a full critique amongst readers. *Favorite quote or passage description (including pg #) within copyright restrictions. We don't want MJ in trouble. -Each week will emphasize a few questions like you suggest. I am in for this! I read a ton of books, so it would be fun to share with others! Different books have different levels of participation, though-- and length. So I'm not sure if the 4 week plan is good-- esp for quick reads (those you can do in 3 hours), or long reads (like YMOYL) which ask you to *do* things. On the other hand, blazing through YMOYL might insure that people got through it (most can't make it past the first few chaps). Count me in! I need something to be accountable to, so this would be a great way to ensure that I get my reading in. I like Bilge's ideas a lot (rep+++). I tried to rep Yves, but I'd done so too recently. Those are just a few. I realize that some are more industry-related than what the majority might want, so they could always be optional reads or fillers. I have never been involved with a book club and may dissapoint some of the other folks in the club but I am interested in giving it a try. I may need a quick lesson on book club etiquette. I have a terrible tendency of picking up a book, reading 150 pages of it and then getting bored and moving onto another book (doing the same thing w/ the new book, and the one after that, etc...). This might actually give me the motivation to get back and finish reading some of those books. I like Bilge's ideas and I second Russ's "Your Money or Your Life" and Ryan's "4-Hour Work Week" suggestions. Speed +++ for getting this going. I think the new "Social Group" function here at the forum would work for this. Hmmm ... maybe not ... I don't think groups have individual threads which probably is needed to differentiate each book .... a sub-forum might be needed. Perhaps a subforum for all book discussions and the social group for general conversation. Can't it be taken a step further by jointly compiling 'the ultimate fastlane book' using the wisdom that is picked up along the way by reading the various books that will be read and discussed within the club? As Bilgefisher also points out no copyright violations shall occur. Oh I love this idea! MJ- this might be your sequel right here! 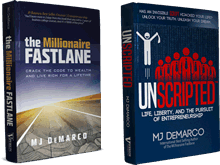 ...Since we will be synthesizing all of the great financial self-help books through a fastlane lense anyhow, we might as well turn those notes/critiques/observations into an Ultimate Fastlane Book (if MJ approves of course). Haha, how fastlane is that?! MJ could have a sequel/spinoff written and not lift a finger! :idx: How about reading MJ's first book? How much longer are we going to have to sit on pins and needles MJ? Geez, you'd think he was running a new forum, selling a business and remodeling his house or something. As with anything, I say we get started. Today is 6/14/08. The next suggestion I have is to come up with the next book before we finish this one.